The City of Fort Collins maintains 240 blocks of alleys, and 40 miles of road shoulders. Maintenance is usually scheduled from April through October based on weather conditions. 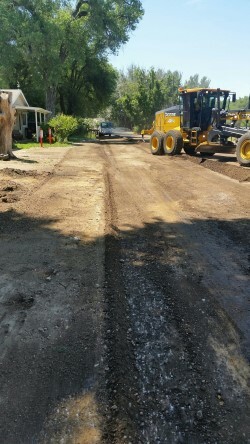 The City of Fort Collins maintains 4.55 miles of unpaved roadways. Alpine Street – Mason St. to College Ave.
N. Mason Street – Hemlock Ln. to Alpine St.
Pinon Street – Mason St. to College Ave.
Vivian Street – Lynn Dr. to Kyle Ave. The City maintains 40 miles of road shoulders to stabilize and provide a safe access on road shoulders.